My 8pm photo is from my visit to Yosemite last week. Let me tell you, it's very dark in Yosemite at 8pm at this time of year, with the sun long gone and very little moon, there was no natural light and very little other lights. I stayed in Curry Village in one of the tent cabins, which requires more bear safety precautions than I'd like. And, the bears are there, I saw a mother and cub in the middle of the day wandering across a creek (although I wasn't able to get a photo of them). 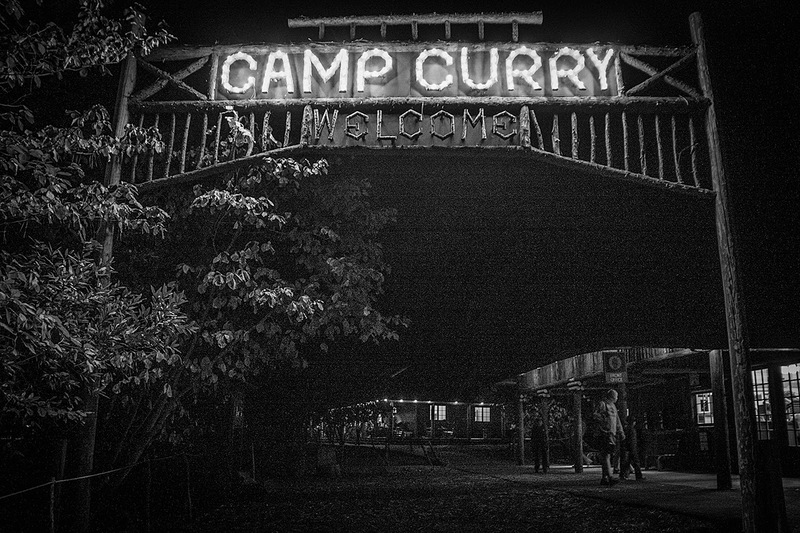 I decided to capture the lights of the Camp Curry entrance sign, which is a nice combination of Hollywood lights with an old style structure. This sign has been there since 1914.